The International Festival of Arts and Ideas has announced highlights of the 2016 season, June 10-25, featuring the US premiere of Our Ladies of Perpetual Succour, a critically and audience-acclaimed production from the National Theatre of Scotland. The annual two-week festival in downtown New Haven celebrates the arts, ideas, and community with groundbreaking performances and provocative conversations with leading artists, thought-leaders, and innovators from around the world. The events take place in a variety of venues, including on the Green, 80 percent of them with free admission. Performers include some of the most influential and innovative theater arts, classical, jazz, and dance figures of our time. Additional 2016 programming will be announced as dates and venues are confirmed. Our Ladies of Perpetual Succour is produced by the National Theatre of Scotland and adapted by Lee Hall (Billy Elliot) from the cult novel "The Sopranos" by Alan Warner. It will receive its London West End premiere in early August. It is about six schoolgirls on the cusp of change. Love, lust, pregnancy, and death all spiral out of control in a single day when they venture to Edinburgh for a singing competition. 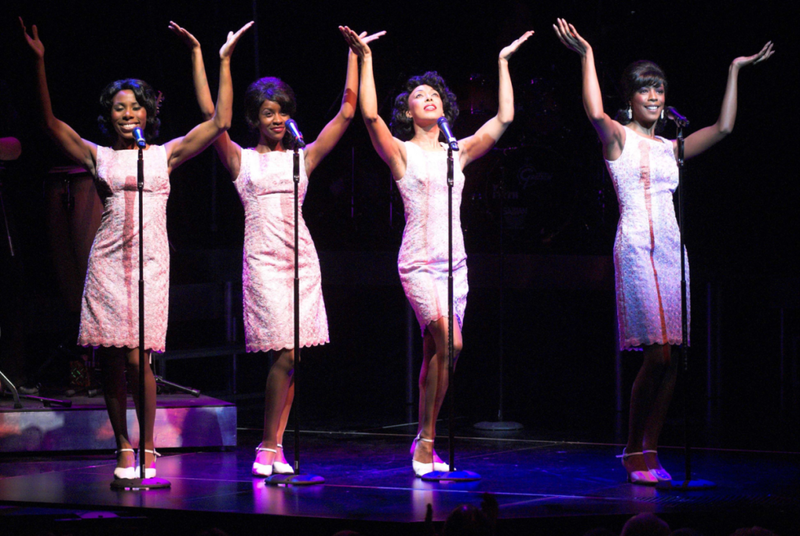 With a soundtrack of classical music and '70s pop rock featuring music by Handel, Bach, Bob Marley and Electric Light Orchestra, Our Ladies is a life-affirming piece of musical theater. Directed by Vicky Featherstone with Music Supervisor Martin Lowe (Grammy, Tony, and Olivier award winner for Once)." Hall won a Tony, Drama Desk, and Olivier award for his work on Billy Elliot. Recommended for ages 16 and over; contains strong language and adult themes. for the Arts at University of Richmond, this new full-length work was created by Wendy Whelan, former New York City Ballet principal, and dancer and choreographer Brian Brooks. Whelan and Brooks previously collaborated on the duet "First Fall" for "Restless Creature," each taking creative risks in unfamiliar territory; classical and contemporary dance, respectively. This new work of solos and duets represents a continuation and extension of their exploration. Brooklyn Rider, the New York City-based string quartet, will perform live. In this immersive theater experience, audience members opt to buy in to participate as a benefactor or observe among silent witnesses. As the clock ticks, the benefactors have 90 minutes to decide unanimously how to spend a pot of money. If they don't agree, the money rolls over to the next audience. A Kaleider production, every outcome of The Money is unique. Abraham.in.Motion "The Live Music Program"
Kyle Abraham, Bessie award-winning choreographer and MacArthur Fellow, and his company Abraham.in.Motion will present works that combine refined movement with compelling themes of identity and race. "The Gettin'"features live music (a first for Abraham) with Grammy-winning jazz artist Robert Glasper and his trio re-imagining "We Insist! Max Roach's Freedom Now Suite." "Absent Matter" is a new work created in collaboration with Blue Note recording artistOtis Brown III, multimedia artist Tahir Hemphill, and costume designer Karen Young. Steel Hammer is the latest collaboration from acclaimed composer Julia Wolfe, Obie-winning SITI Company and the celebrated ensemble Bang on a Can All-Stars. The play inventively examines key contemporary social issues through the folk song "John Henry," the legendary steel-driver who challenged a steam drill in a man versus machine contest. It serves as a potent vehicle for examining the African American experience and the malleability of myth and fact. Music and the spoken word woven with movement, dance, and percussion on a variety of surfaces, including the performers' bodies, create a highly original theatrical experience. Air Play is a comic adventure of an epic scale for audiences of all ages. It follows the surreal journey of a brother and a sister as they encounter flying umbrellas, massive balloons, kites, and a monumental snow globe. Created by Acrobuffos and performed by the comedy duo Seth Bloom and Christina Gelsone, Air Play uses spectacular sets featuring Daniel Wurtzel's air sculptures. The show also spins the radio dial to create auditory air play, including Balkan gypsy music, Nordic boys' choirs, symphony orchestras, Italian avant-garde, and Appalachian ballads. Advance tickets for Our Ladies of Perpetual Succour are currently available at www.artidea.org. Tickets for The Money, Abraham.in.Motion, The Live Music Program, Steel Hammer and Air Play go on sale to the public April 19. Gypsy kicks off the Mainstage season June 16 – July 3, directed and choreographed by Richard Stafford (In My Life). Based loosely on the 1957 memoirs of Gypsy Rose Lee and often referred to as the perfect American musical, Gypsy follows Rose, the ultimate show business mother, and her dreams to raise two daughters to perform on the stage. Gypsy was created by the legendary musical theater team of Jule Styne (music), Stephen Sondheim (lyrics), and Arthur Laurents (book). John Simpkins directs the seven-time Tony Award-winning Big River: The Adventures of Huckleberry Finn July 21 – 31. Based on Mark Twain’s classic novel, Big River moves down the mighty Mississippi as Huck helps his friend Jim, a slave, escape to freedom. Their adventures are set to an award-winning score by country music artist Roger Miller and book by William Hauptman. Jennifer Werner (The Book of Mormon) choreographs. Quartet, a play by Academy Award-winner Ronald Harwood ("The Pianist"), runs Aug. 18 - 28. Four elderly opera-singers have ended up in the same retirement home for artists. A concert is about to take place to celebrate Verdi’s birthday. Will these four singers be able to recreate their youth and perform their acclaimed quartet from Rigoletto? John Simpkins directs. The new musical Judge Jackie: Disorder in the Court kicks off the Stage 2 Season July 7 - 17. With music by Michael Kooman and book and lyrics by Christopher Dimond, Judge Jackie rules over her reality television courtroom with an iron fist, presiding over a three-ring circus of America's most chaotic civil cases. But, when a drop in ratings brings her face to face with the liability of her own love life, the judge must learn to navigate the ludicrous laws of love in this over-the-top courtroom comedy. 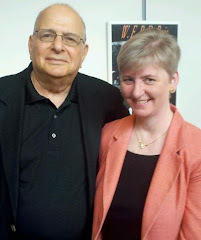 Judge Jackie premiered at Pittsburgh C.L.O. and is based on a concept by Van Kaplan. Simpkins directs. The second longest running Off-Broadway musical in history, I Love You, You’re Perfect, Now Change, plays Stage 2 Aug. 4 - 14. The celebration of the relationship takes center stage in this hilarious revue that pays tribute to those who have loved, lost, and dared to ask “What are you doing Saturday night?” Werner directs and choreographs the show, with book and lyrics by Joe DiPietro and music by Jimmy Roberts. Additional Sharon Playhouse artists-in-residence for 2016 include Music Directors James Cunningham and Joshua Zecher-Ross; Scenic Designers Michael Schweikardt, Jack Mehler and Josh Smith; Lighting Designers Jack Mehler and Chris Dallos; and Costume Designer Michelle Humphrey. Geoff Josselson is Casting Director. 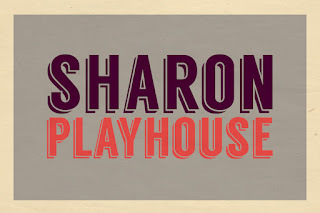 Season subscriptions ($90-$180) are on sale; Single tickets ($15-$47) available online www.sharonplayhouse.org. Box Office opens April 15 (860) 364-7469 x100. 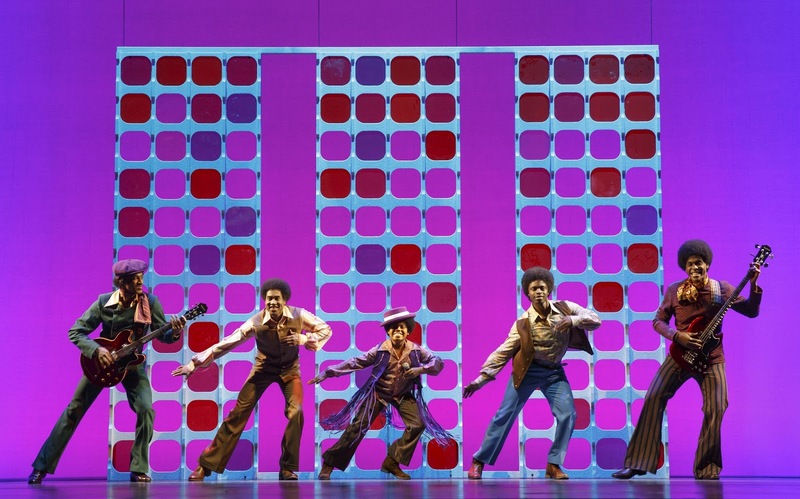 Direct from London’s West End, Dancing in the Streets, the original hit stage production celebrating Motown’s greatest hits, makes its North American debut with a nation-wide tour scheduled to stop at the Palace Theater in Waterbury.for one night only on Saturday, April 2 at 8 pm. 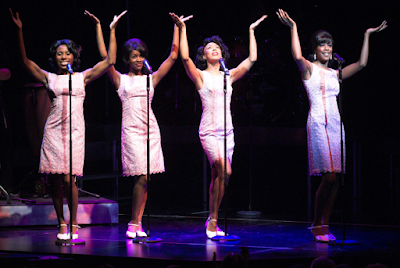 The show invites theatergoers to experience the energy and electricity of the Motor City in a production packed with hit after hit made famous by The Four Tops, Stevie Wonder, Marvin Gaye, The Supremes, The Temptations, Lionel Ritchie, Smokey Robinson and The Miracles, Martha Reeves and the Vandellas, and more. 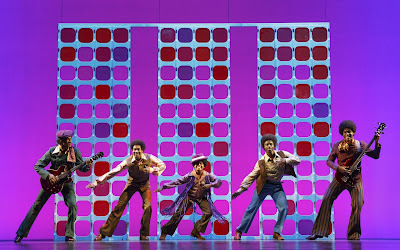 The production’s cast and band bring to life these infectious, foot-tapping melodies with a touch of soul and style guaranteed to have audience members singing along and dancing in the aisles. Following the performance, patrons are invited to “Dance in the Streets for Autism Speaks,” by joining members of the cast for a post-show dance party in the orchestra lobby to celebrate World Autism Awareness Day. Music for the dance party will be provided by Al Taylor of ACT Jams Productions, and a portion of all ticket sales purchased to the show with the promo code “PUZZLE” will be donated to support the Western Connecticut Autism Speaks Walk on Saturday, May 7, 2016 at Library Park in Waterbury. Tickets range from $33 to $58: palacetheaterct.org; 203-346-2000; Box Office, 100 East Main St., Waterbury. For more information, visit autismspeakswalk.org or palacetheaterct.org. Connecticut Repertory Theatre will present the world premiere of three puppetry works onstage in one innovative evening under the banner of The MFA Puppet Arts Festival. For 50 years, UConn’s Puppet Arts program defined the cutting edge of new theater, and this dynamic evening will be no exception. MFA Puppet Arts Festival will be held in the Studio Theatre from March 24 – April 3, 2016. For tickets and information: crt.uconn.edu; 860- 486 2113. The three one-act plays range in topic and style. Ana Craciun-Lambru presents Dust, a piece inspired by the 1911 Triangle Shirtwaist Factory fire in New York City. Dust incorporates shadow and object puppetry. Gavin Cummins has created a one-person play entitled Ok, I Love You, Bye, incorporating different styles of shadow and object puppetry. Kalob Martinez molds Macbeth into, El Beto, a story of lust and blood set in the midst the Mexican Drug cartel. Dust, is a one-woman performance where movement, shadow, puppet and object theatre techniques are blended together. Craciun-Lambru, a native Romanian, was inspired by her own personal story, and explores the journey of an immigrant woman who came to America, and began to work at the Triangle Shirtwaist Factory. Ok, Love You, Bye is about the process of an individual’s grief after a tragedy. In a series of episodes, Gavin Cummins tells the story of the struggle to forge a new life in our old world. Finally, El Beto, explores the present day Mexican drug cartel and the worship of the world’s fastest growing religion, Santa Muerte. Through a combination of shadow puppetry and hand puppetry, Martinez explores the story of El Beto, a man at a crossroads, as blood begets blood. In conjunction with The MFA Puppet Arts Festival, additional performances of a fourth play, ECHO by Christopher Mullens is taking place at the Ballard Institute and Museum of Puppetry from March 24 – April 3, 2016. ECHO is a multi-media immersive spectacle combining puppets, digital projection and original music in the re-telling of a classic Greek myth. The production team includes: Ana Craciun-Lambru, Gavin Cummins, Kalob Martinez (Creators, Directors, Puppeteers and Performers), Danielle Verkennes (Lighting Design), Jelena Antanasijevic (Costume Design), Daniel Bria (Sound Design), and Tim Brown and John Parmalee (Scenic Design). Evening performances start at 7:30 on Wednesdays and Thursdays, and at 8 on Fridays and Saturdays. Select matinee performances start at 2 pm on Saturdays and Sundays. Season subscriptions and single tickets are available now. Single tickets range from $7 to $30. All student tickets are $7. Children must be at least 4 years old to attend CRT productions. For additional ticket information or to charge tickets by phone, call 860-486.-113.